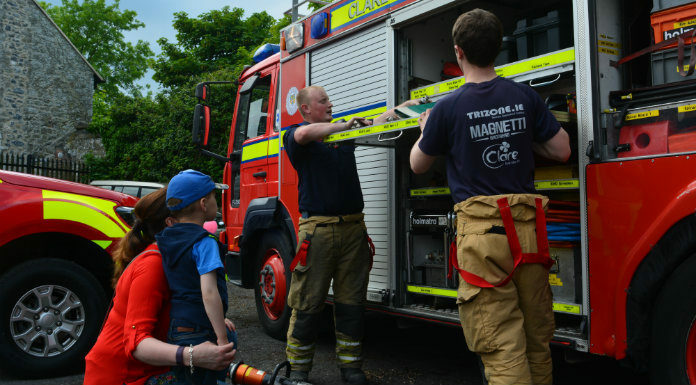 Clare County Fire and Rescue Service is calling on volunteers to fill a number of vacancies for fire fighters across the county. A retained fire fighter panel is currently being compiled for Killaloe, while further positions will be advertised in Ennistymon, Shannon and Kilrush shortly. The fire brigade in Clare has a full complement of 76 but is currently operating below capacity. Acting Chief Fire Officer Denis O’Connell says they’re looking for volunteers who are dedicated to the job.